Throwing a last minute party has never been so simple! I love having people over for parties and enjoy making the food for the party. The other weekend my husband wanted to have some people over for a game day gathering. I was hesitant to say yes as my week was super busy and I just did not have time for any party planning. My husband said don't worry about making lots of fancy food as I could just pick up some appetizers at the store. I agreed and hoped that I could find some easy appetizers at the store that were ready-made as I was in no mood to cook. When I got to the store, I decided to look in the deli section of the store and I saw some HORMEL GATHERINGS® Party Trays that looked like an easy appetizer that could give me a stress-free party. 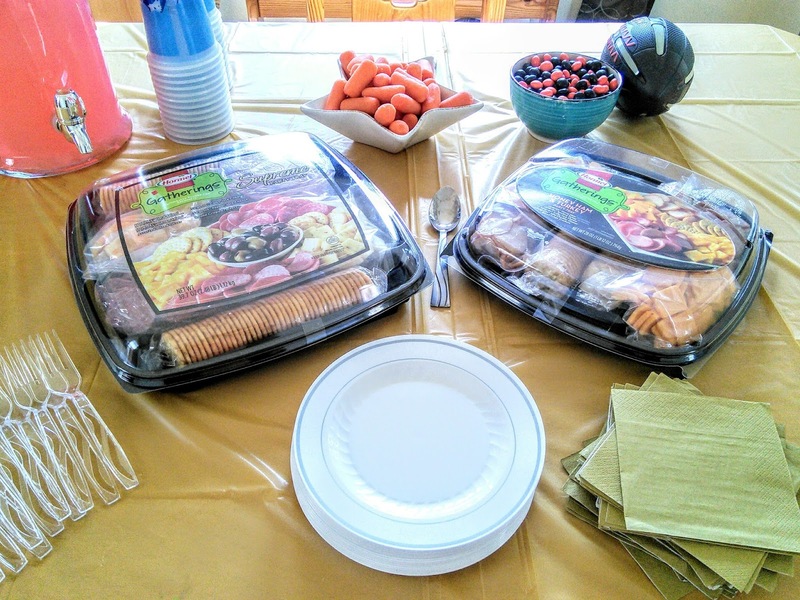 I really like that everything was included in the party tray, even the tray looked nice. So I grabbed two of the HORMEL GATHERINGS® Party Trays, some carrots, and some chocolate. Every party needs chocolate! 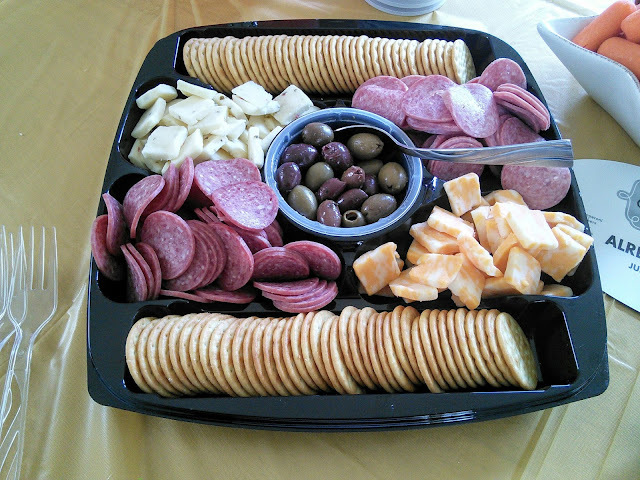 The party trays were so simple to serve. All I had to do was open up the packages of meat, cheese, and crackers. There were even compartments to place all the food in. I loved that I did not have to search my kitchen for any platters! All the meat and cheese were fresh and the crackers were crisp. My favorite part of the game day tray was the olives. 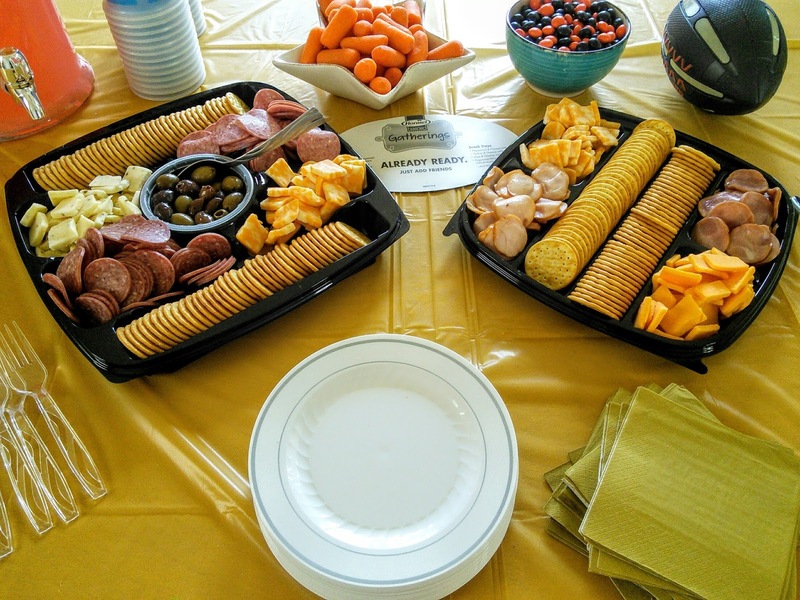 These party trays looked so delicious and it took me less than 15 minutes to set up everything for my gathering. I used paper plates and plastic silverware so I would not have to dishes later. Hosting this gathering for the game was so easy. My table was ready and I could now relax and enjoy hosting a party for my friends at my home. 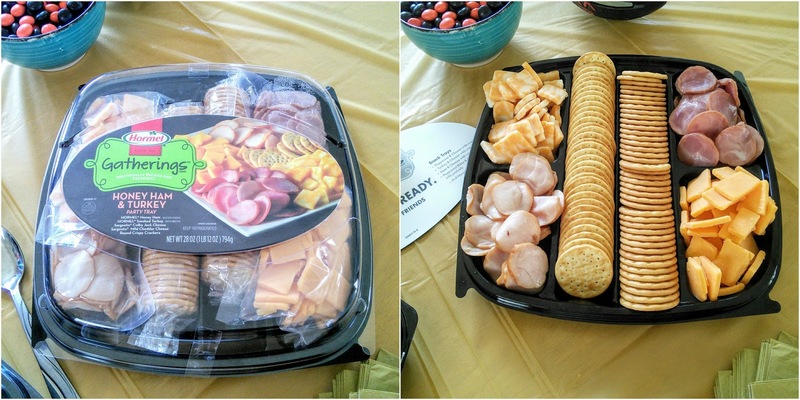 If there were any leftovers, the party trays came with lids so it would be so easy to cover and place back in the fridge. 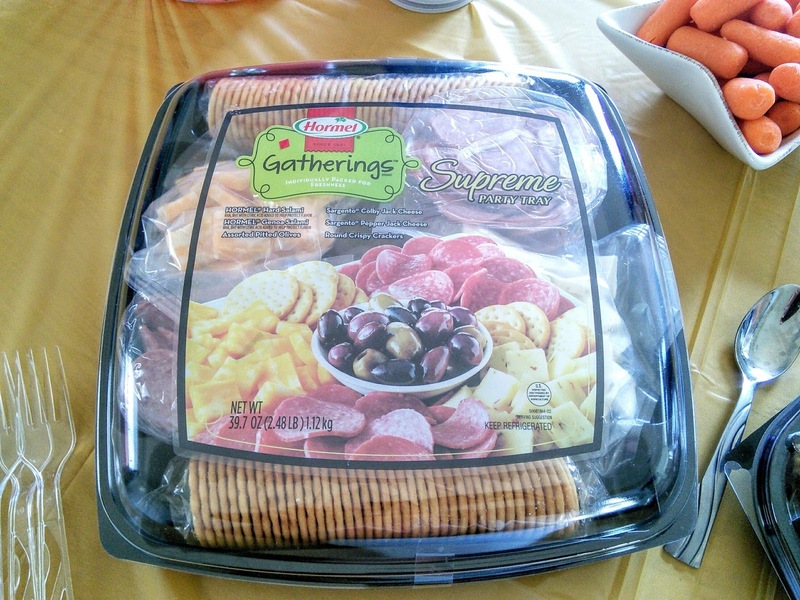 I am thinking the next time I get invited to a party that I will be bringing a HORMEL GATHERINGS® Party Trays with me. 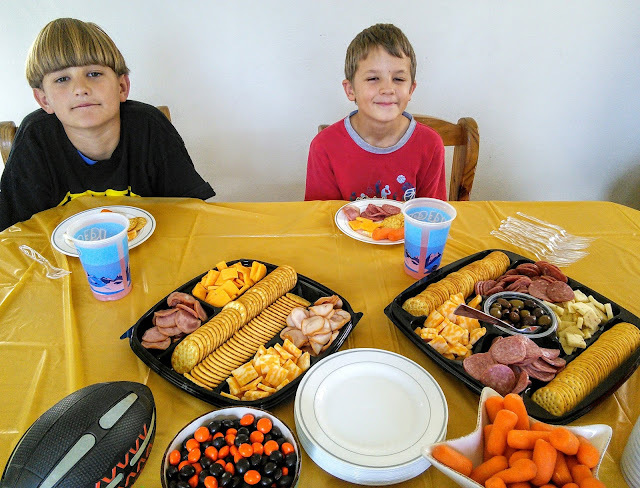 My boys sure did enjoy being able to choose their favorites from the party trays. The food was so easy for people to grab and enjoy while watching the game. These trays are always enjoyed by all. No need to shop for extra snacks when you have these trays. It seems simple & easy. Looks like you guys had fun! I am a classic over-stocker when it comes to feeding people, this would help me to make sure I had enough but am not going completely crazy at the store! Thanks for sharing! These trays are total life savers for me. I have 3 daughter between the ages of 10 - 15. They are always bringing over guest and in no time its a party by the pool. My hubby loves to run and get these trays for them to enjoy. We love these. It's my go to for parties because it's so easy to just grab and go, plus everyone loves cheese and crackers! oh hem gee! look at all that food! so good and perfect! these sets make organizing a party last minute so easy! These are always great for tailgating too. We took one to the last game we went to and it was a hit! I absolutely adore trays like these. They help make planning a party more about the fun and less about the food. Its so good and perfect! No need to shop for extra snacks when you have these trays. These trays are perfect for the Superbowl party. Thanks for the idea. We took one to a "House Blessing", happened to be on sale and I did the math and you could not make one yourself for less. Didn't have to worry about getting my dishes back in case we left it at the party. 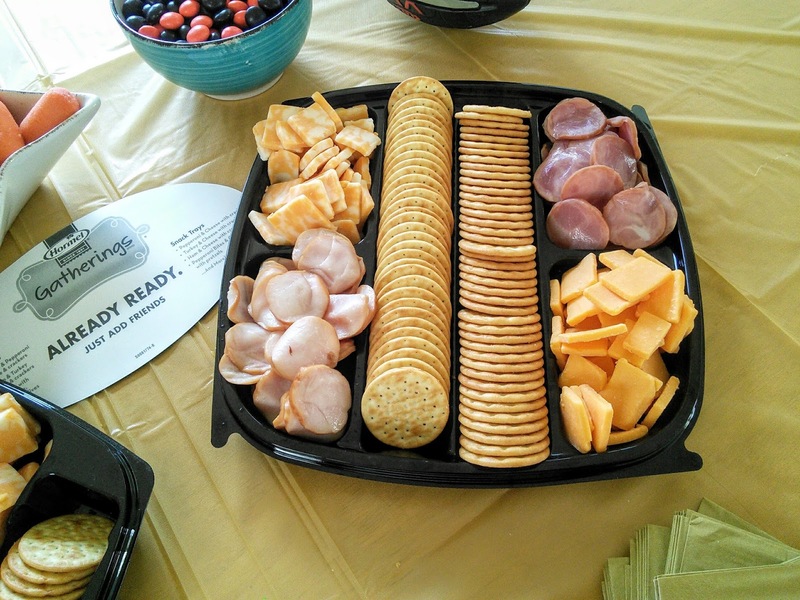 Hormel Party Trays are the best. I just had one for my Poppy who turned 80.
a party tray! love it! and kids will love it too. I hope to find it at any S&R supermarkets.